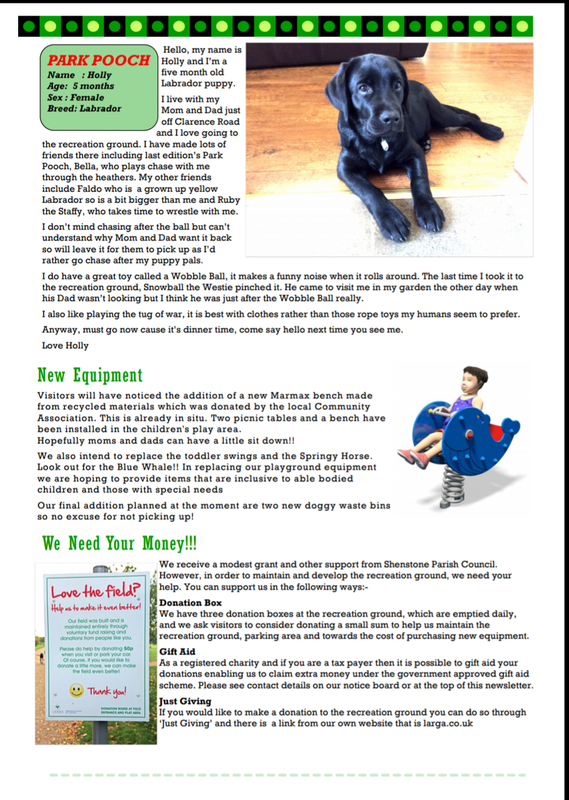 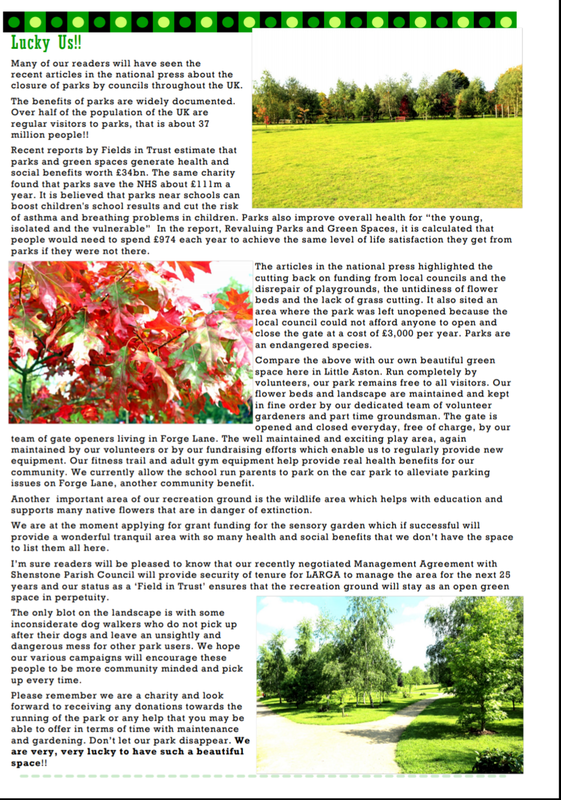 We issue a quarterly newsletter that is free to visitors and tells them what we are doing at the recreation ground and our future plans. 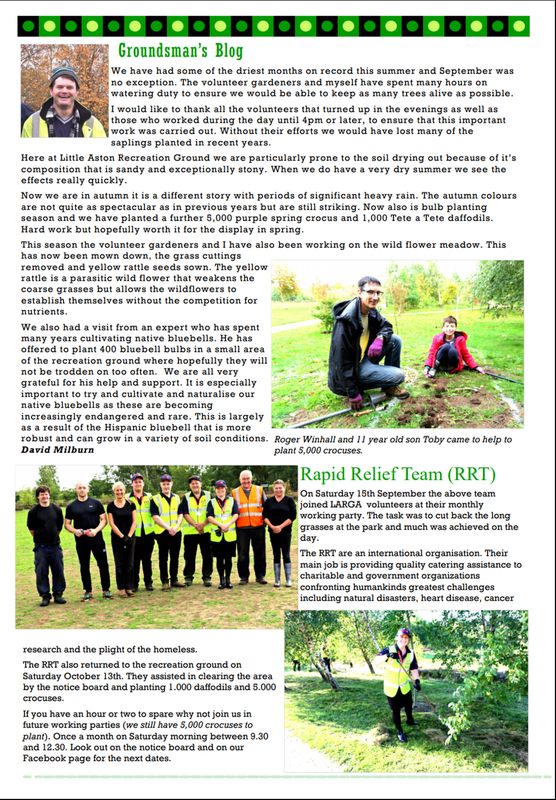 We are always looking for volunteers to submit articles, letters or photographs and our newsletter is an important opportunity for visitors to give feedback on issues that are important to them. 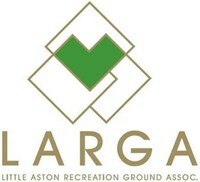 Our newsletter is also available on LARGA's Facebook page.